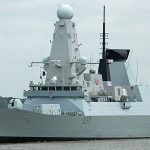 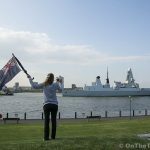 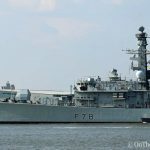 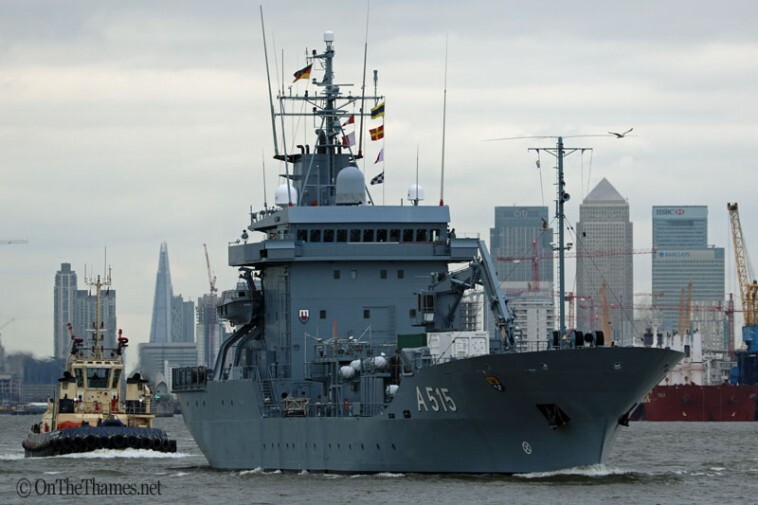 THE THREE German navy vessels visiting London sailed out of the capital last Monday. 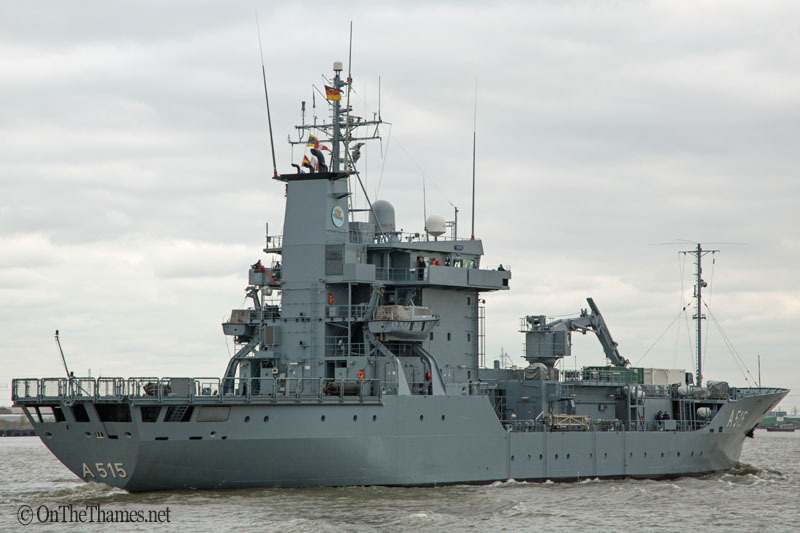 FGS Main, FGS Siegburg and FGS Pegnitz had been in West India Docks over the preceding weekend as part of a fortnight-long squadron exercise. 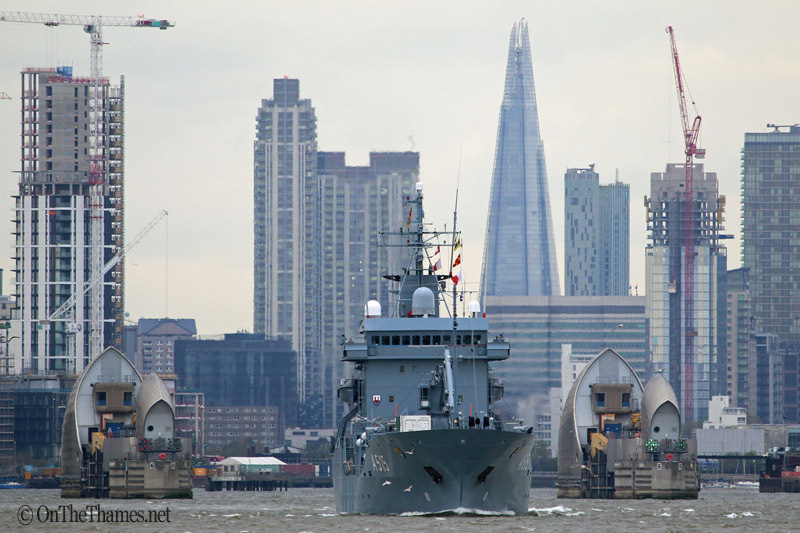 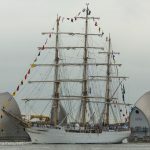 FGS Main was the first of the trio to lock out, seen here after having transited through the Thames Barrier. 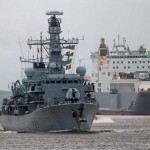 Auxiliary ship FGS Main followed down river by the tug Svitzer Laceby. 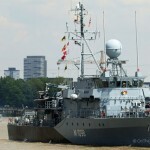 The Type 404 Elbe class replenishment ship was commissioned in 1994. The last Elbe-class ship to visit London was FGS Mosel in 2014.